The objective of the International Journal of Naval History is to provide a pre-eminent forum for works of naval history researched and written to demonstrable academic standards. Our hope is to stimulate and promote research into naval history and foster communication among naval historians at an international level. The journal is an independent voice for serious research into all manner of naval history and maritime studies. This includes work touching the naval traditions of all nations and regions in all time periods. 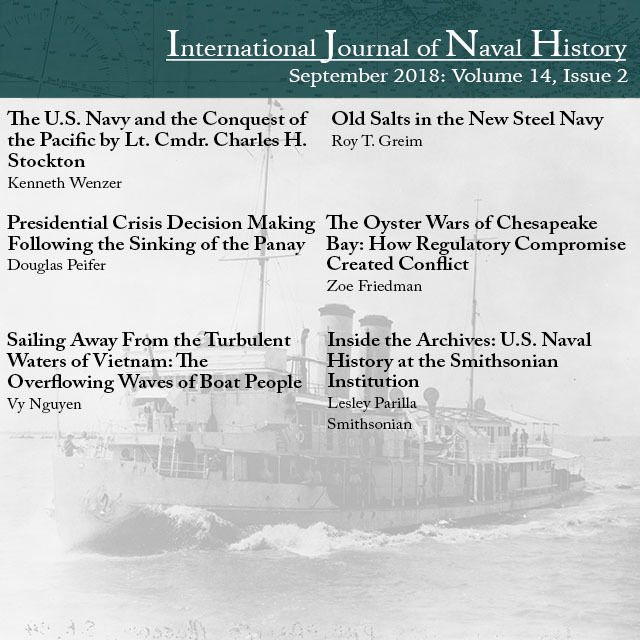 The International Journal of Naval History appears on the worldwide web as a free service to scholars and interested individuals courtesy of both its all-volunteer staff and the U.S. Naval Historical Foundation.